Debbie Bennett writes the kind of crime thrillers that can chill the blood. Her crime thriller series are tense dramas, placing our grittiest inner city streets and alleyways under the microscope: beginning with Hamelin’s Child right up to the latest publication, Ratline this is fiction for the lovers of dark crime. Debbie has also written fantasy fiction. 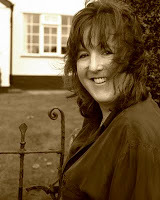 She has been a magazine editor and has reviewed all manner of books for a wide variety of sites and magazines. She posts regularly on her own blog and also posts a regular column for the Authors Electric. Debbie, tell us a little about yourself and your writing. I started out as a fantasy writer. Lots of short stories published in various anthologies and newsletters/magazines over the years, and I was heavily involved in the ‘genre scene’ for a good many years – doing various roles in the British Fantasy Society, from being the membership secretary to editing publications and running conventions. I read fantasy and wrote fantasy. Sorted. Then I had an idea for something much darker, spun off from working in law enforcement for my whole career – and I started writing dark and gritty crime. And I knew I’d found my niche as everything just clicked and my writing started to take on a life of its own. Since I was about 15, I think. All handwritten in a fancy ring-binder and I still have it somewhere. It’s complete rubbish, but at least I finished it. I used to be able to lucid-dream as a child and writing just seemed a natural extension of literally dreaming-up stories. What is at the root of your current book/story? Redemption? I’ve been trying to get inside the head of my bad-boy Lenny. He was a relatively minor character in Paying the Piper, but came to the forefront in Calling the Tune, at which point I developed an unhealthy fascination (ok – obsession) with him! So I gave him a spin-off series of his own and started trying to figure out what made him tick. It’s challenging to create reader-empathy with somebody who admits to killing people, but once I got under his skin, his story was compelling. And now in this last book, I want to create an ending that works on all levels. It’s not easy, but immensely satisfying. Either? Both? Traditional publishing is a business – they have to make money. I get that. I had an agent way back, but what I write wasn’t/isn’t commercially viable. I don’t agree, but that’s neither here nor there. But going it alone means I don’t need to make a fortune; my break-even point is much lower and I can write what I want, how I want and when I want. Having said that, if a traditional publisher offered me a deal, I’d consider it – of course I would. I’d be stupid not to. Crime: Morse or Dragon Tattoo? Neither. I tried reading the latter and I just can’t get into the style of Swedish crime. It’s the whole present-tense thing. It works for chick-lit and young adult, but crime? Noooo. It’s just not right. And Morse? Well John Thaw apparently went to school with my aunt – she’s mentioned in his autobiography! But I confess I’ve never read the books, nor watched the tv series. I’d rather read Mark Billingham or Paul Finch. Fantasy: Lord Of The Rings or Once Upon a Time? Is Once Upon a Time even a book? My teenage daughter watches it on Netflix but since we don’t have Sky, I’ve never seen it. LOTR I read for the first time at age 11 and I suspect most of it went way over my head. I’ve read it several more times since then, but I think the magic has gone from the books – especially when all I can see in my mind now is Orlando Bloom and Viggo Mortensen! I’m currently working my way through reading Game of Thrones, having just watched the first 3 seasons on DVD. In this case, I’m actually enjoying having seen the tv version first for a change; since the drama seems to have followed the books fairly accurately (so far), I’m finding that the visuals add a whole new dimension to the book. What was the first fantasy/sf story you read and what kind of impact did it make on you? Brave New World. Aged 10. There was an extract in an English comprehension book in primary school – the classic ‘babies on the electric floor’ scene – and I was utterly hooked. It was probably the first thing that really fired my imagination since the Famous Five. I got the book from the library and devoured it. I don’t think I really understood the messages the story was trying to convey, so I read it on a level for pure entertainment. After that I found a Heinlein book (Stranger in Strange Land, I believe it was) at a neighbour’s house – probably not really suitable reading for a 10 year-old, but it got me started and I worked my way through the entire sf shelf at the local library! Um – I’ve had dinner with most of my favourite writers. Got to be some perks to running conventions! But since I’m currently writing crime, I’d probably go for somebody like screenwriter Jimmy McGovern as I love his television dramas. My ultimate aim would be to have him write the screenplay for my first crime novel Hamelin’s Child – I’ve had a go at scriptwriting myself and it is so difficult to do. What aspects of writing to do you find the most tricky? Getting the momentum going. Whenever I start anything new, it takes a while to get moving. I’m a total and complete pantser, so I never know where I’m going, and an outline or even a plot is an alien concept to me! Fortunately I’ve written enough new stories now to appreciate the way my subconscious works – I know it will come eventually, that if I just let my subconscious play around for long enough then eventually it will click and connect with the rest of my brain and I’ll be off and running. But it’s so hard to wait. 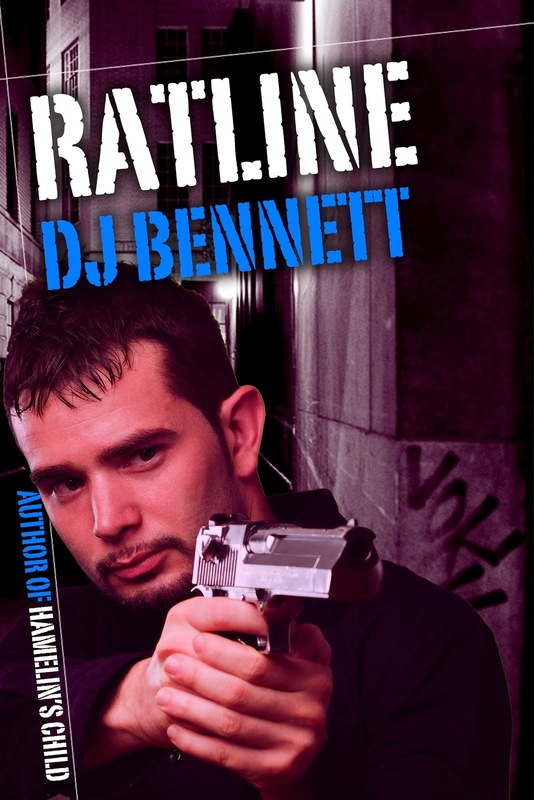 Ratline by Debbie Bennett: The DI handling Lenny’s trial seems to think he can control the rest of Lenny’s life too. He’s made him an offer – help the police pull in one of London’s biggest criminals and there might be a way to stay out of prison. Lenny knows that going after Jackson isn’t going to be easy. And finding a way back into his old life will be near-impossible. After putting his gangland boss behind bars, it looks like everybody is out to get him, but at least there’s the novelty of having the cops on his side for once. Jackson and Lenny have history between them, however, and in order to lure Jackson, Lenny has to dig deep into his own past and uncover secrets he’d thought were buried forever. And the chain of evidence he needs to bring Jackson down might just be the noose around his own neck. This thriller is set a few months after Rat’s Tale and contains adult material. Previous A What Of Cats?